Northbrook, IL, February 9, 2017 – Network check scanning is now supported by Digital Check’s SmartSource API, extending native support to SmartSource Expert series scanners. The addition means all SmartSource scanners can now run on the company’s standard API, making for simpler integration by Digital Check’s software partners. 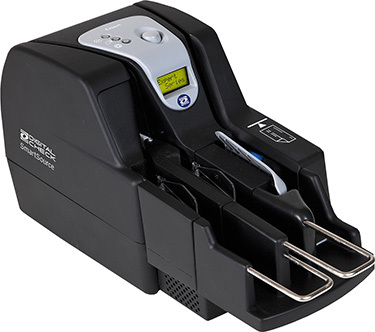 The SmartSource API had already included support for the company’s full lineup of SmartSource USB-connected scanners; however, network scanning required a separate interface designed for the purpose. Minimal or no changes will be required to add network scanning to applications that had already supported USB scanners using the SmartSource API. The Silver Bullet Ranger® API – used by many Digital Check software partners to integrate scanners – already contained network support for the SmartSource Expert, and is not affected by the change. The update to the SmartSource API reflects the growing importance of network connectivity in the modern bank branch, said Bruce Young, Executive Vice President of Engineering at Digital Check. The updated API network functionality is in pilot testing at a small number of banks and credit unions already running the SmartSource Expert series scanners in the field. The full API rollout will occur over the next several months as partners update their software. In addition to providing support for both USB- and Ethernet-connected SmartSource devices across the entire current-generation product line, the new platform does away with legacy control formats, such as ActiveX and OCX. For more information about the new SmartSource API or the SmartSource Expert network check scanners, please contact your Digital Check account representative or call (847) 446-2285.